Patrick Nielsen Patrick Nielsen has been involved in the residential ventilation industry for 12 years. With a background in engineering, Nielsen has spent the last 22 years in various marketing capacities. His experience includes in-depth market research with consumers, builders, contractors and architects, and analyzing building standards, codes and green programs. This work has led to the development of numerous highly successful products and several awards such as ENERGY STAR Most Efficient 2014. Do you like singing in the shower? A recent study found that 75 percent of Americans use their smartphones and mobile devices in the bathroom, primarily for streaming music or listening to the news. After a long, hot shower, it's no surprise to step out into a steamy bathroom and see a mirror clouded with condensation. But that foggy bathroom mirror is a sign of a bigger issue: poor indoor air quality due to an old or outdated ventilation fan. If humidity levels are too low, household objects from wood furniture to artwork can be damaged over time as moisture is pulled from wood, paper and other porous materials. Like all mechanical things, bathrooms fans wear out eventually. When the motor bearings start wear, an aging bath fan can sound like you're being invaded by screeching ghosts. And nobody wants to hear that. Do you have fog or condensation in your bathroom windows and mirrors, even when the fan is running? It may be sign that the air in the room is cold, or you don't have enough airflow in the bathroom. 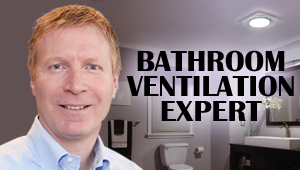 We talk a lot about ventilation for kitchens and bathrooms. Of course, it's important for those rooms to have adequate air flow to manage moisture and odors. But other rooms in the house need fresh air flow, too. Whole house ventilation – what does it mean? As mechanical ventilation becomes a larger part of the high performance home building strategies, you'll hear a lot of talk about whole-house fan, whole-house comfort systems and so on. What does it all mean? What do a boiling pot of pasta, firewood, houseplants, and a hot shower all have in common? They all add moisture to your home’s interior. And, while some humidity in the home is good, excessive moisture can be uncomfortable. Does your home need an ERV or HRV? As homes are becoming more tightly built, proper ventilation is increasingly critical for optimal indoor air quality. When you take nice hot shower, does the bathroom mirror fog up, and stay foggy for a few minutes? If that's the way it is in your home, you may not think twice about it. What do you know about home IAQ? You're probably among the people who are aware that indoor air quality (IAQ) is an issue in many homes. 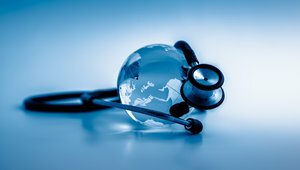 But according to a national survey, many lack a practical understanding of the more overt indicators of unhealthy air. The 2013 version of ASHRAE 62.2 includes performance-based measurements, rather than relying on the tested performance of a fan. Under older versions you could rely on manufacturer's specifications and industry standards for duct runs. A home without a well-designed ventilation system is at the mercy of the weather. In such a building the air exchange or "breathing rate" through unplanned openings like cracks and windows is governed by the weather and the building's height. Over the years, ventilation in houses and apartment buildings was thought to good enough when fresh air slipped in through windows and random cracks and holes unintentionally left in the building envelope during construction. But that meant ventilation design was essentially random. If you're looking for an air filter for your home, it can get confusing quickly. You'll come across both MERV and HEPA rated filters. It's hard to know which one you might need. It seems simple to turn a fan on when you need it and off when you don't. But that's not always the case. Fortunately, there are some options if you're installing a new fan or simply want to upgrade what you have. When we at Broan-NuTone design and market ventilation systems, one of our guiding factor is the ASHRAE 62.2 residential ventilation standard. If you're building a new high-performance home or updating an existing home, you will likely encounter the need for whole-house ventilation. Homes built to tighter standards require balanced ventilation systems.